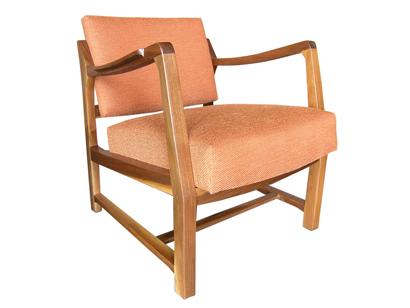 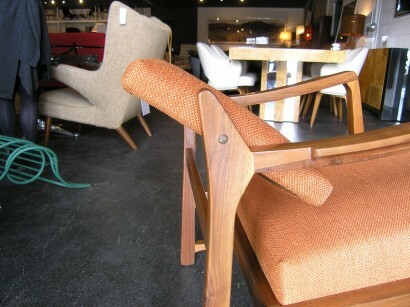 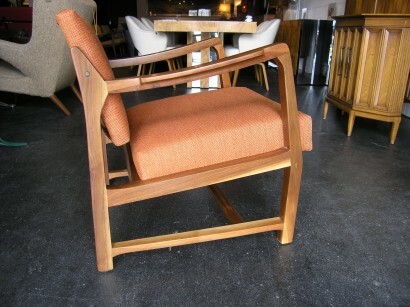 Edward Wormley designed this armchair for Dunbar with a mahogany frame whose back pivots for greater comfort. 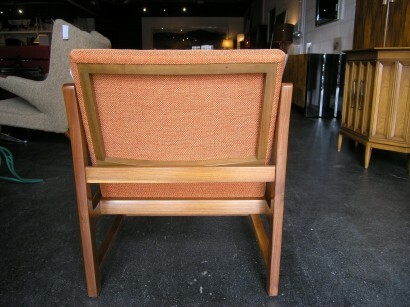 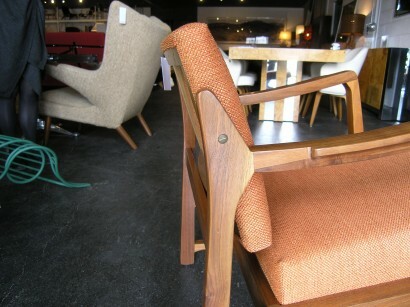 It has been expertly reupholstered in Knoll’s Sequin CR textile (color: mango). 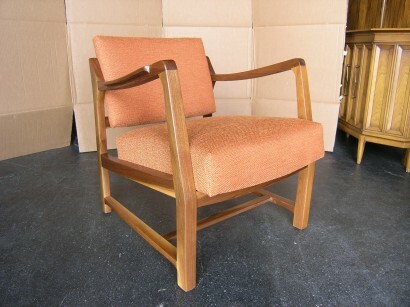 Height: 29 1/2" Seat Height: 15" Width: 25 1/4" Depth: 27"